I did love hunting. As a young teacher even squirrels were, I thought, worthy game.That is till my bride declared she would have nothing to do with cooking or eating, what she described as "skinned rats." So much for that pastime. 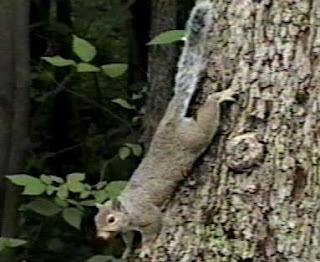 Still,one of my favorite all time squirrel hunting episodes involved a teaching collegue. Lets say, for the sake of clarity here, his name is Don. Now Don was a North Dakotan, which means he had a rather dry sense of humor. Don and I were squirrel hunting some years ago. 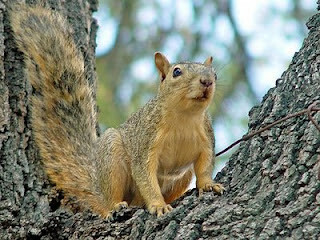 We had seen a squirrel go up a tree in front of us near the bank of a small river. As we circled the tree time and again we could not see the squirrel. 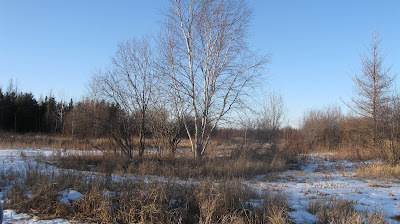 Don offered this advice, "I will sit on this side-hill and you circle the tree to the other side. 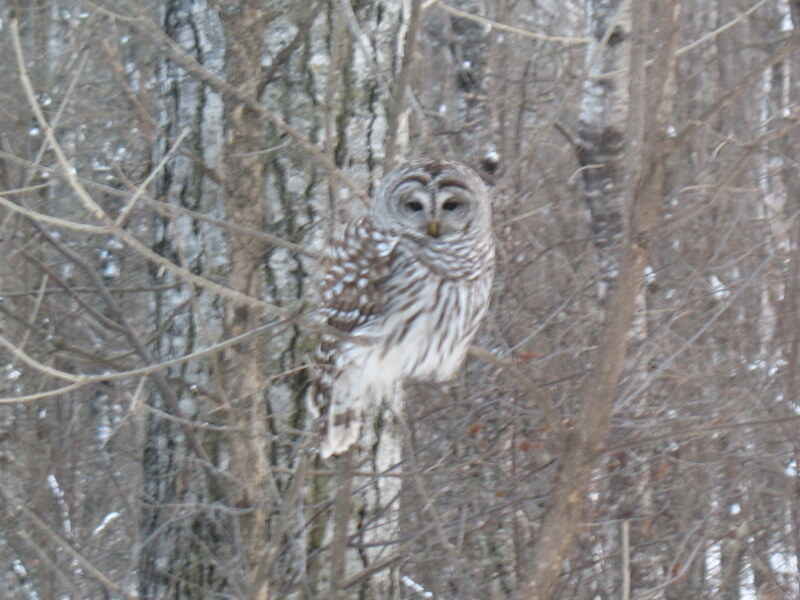 I think he just circles the tree as we do." It sounded like a good plan. As I circled the tree to the other side, gazing up at the tree, I saw nothing. I decided to back up to get a better view. While backing up, I completely forgot that the river was right behind me. Much to my dismay I fell backwards, down a ten foot drop and into the swifty moving current. I struggled to keep my head above the water as I was being washed downstream. Drowning seemed a real possibility but I had one thing in my favor. Don was a member of the Fire Dept. He was trained to rescue others! Still heading downstream I could neither see nor hear him. Gasping from the cold water, I finally spotted some tree roots protruding from the bank ahead. As I went by, I grabbed on. Fortunately I held on tightly and proceeded to pull myself up the muddy, steep embankment. I crawled out, exhausted, and looked for Don. He hadn't moved from his sitting position. As I walked toward him cold and soaking wet from my ordeal, he simply commented in a dead pan voice, "I really doubt that squirrel is in the tree, because if he was, he would have fell out laughing." 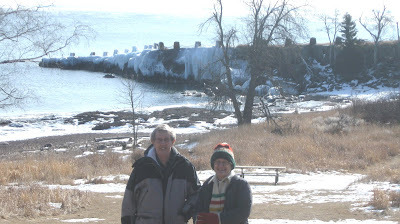 The day after our birding trip into the Sax Zim bog, we (the Troutbirders and Gary&Rosie), decided on a trip from Duluth up along Minnesota's fabled "North Shore". 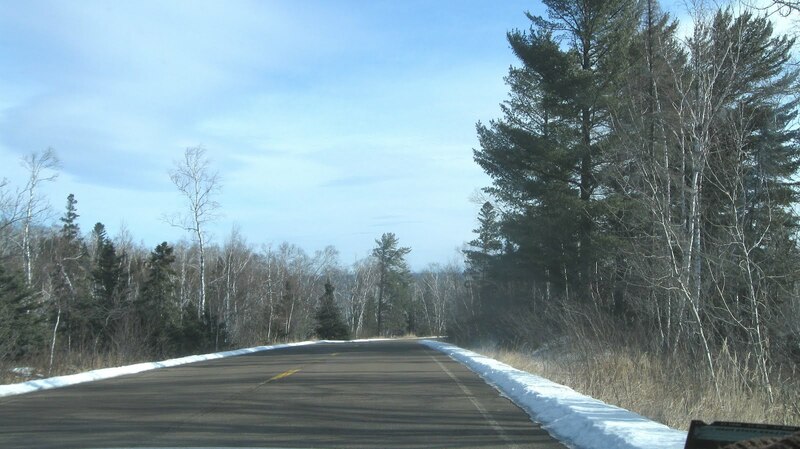 This is what we Minnesotans call our inland sea coast along Lake Superior. Amazingly, considering all the summer camping outings and drives to the Boundary Waters Canoe Wilderness, I had taken over the years, I had never visited in winter before. And winter it was. Well below zero. Unfortunately in our otherwise (except for this weekend) unusually mild winter there was little or no snow left in the area. Regardless, the rocky shore line was still spectacular. 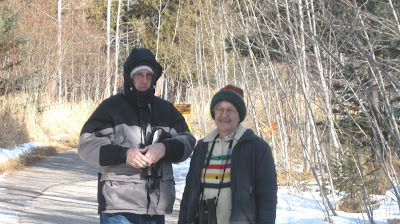 We, with our friends Gary and Rosie, were taking a short winter "birding break" to Northern Minnesota famous Sax Zim bog. This is the same place that was featured in the recent movie, The Big Year. 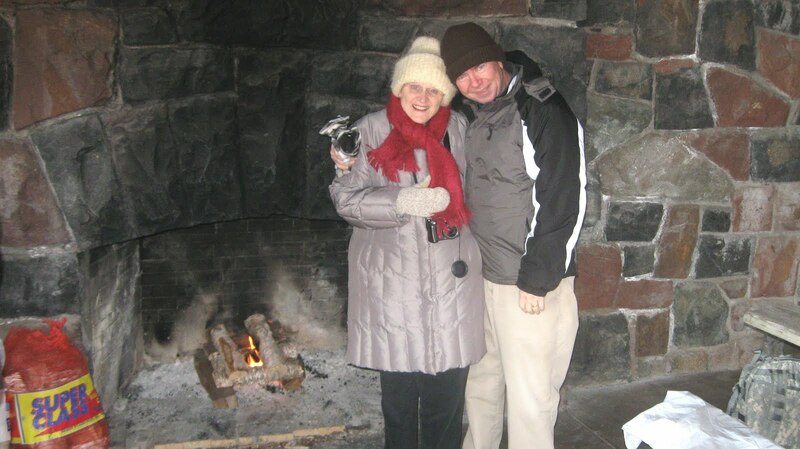 It was colder than heck. Maybe -30 degress wind chill. Still we were hopeful. 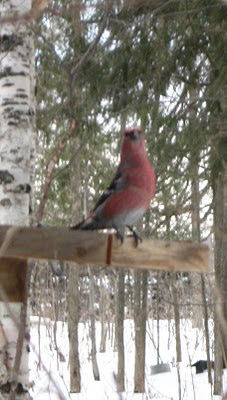 Sax-Zim Bog is the place, some say, to bird in Minnesota. 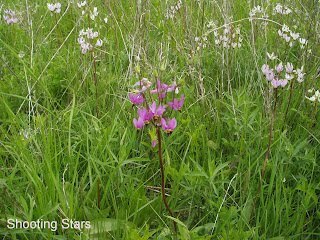 Indeed, species difficult to find elsewhere are often much easier in "the bog." 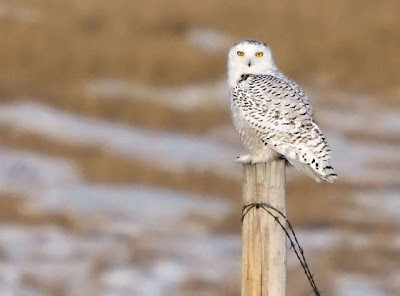 Upland Sandpiper, Sharp-tailed Grouse, Great Gray Owl, Yellow-bellied Flycatcher, Boreal Chickadee, Gray Jay, Connecticut Warbler and LeConte's Sparrow all nest here. In winter one can look for Snowy Owl, Northern Hawk Owl, Norhtern Goshawk, Northern Shrike, Snow Bunting, Pine and Evening Grossbeaks, pine siskins, crossbills and redpolls. 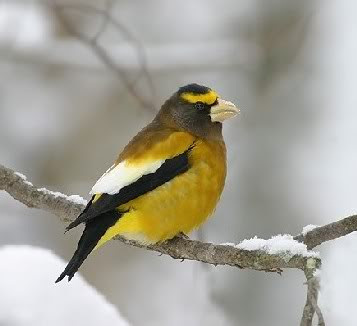 Here's a few Pine and Evening Grosbeaks, I took on a previous trip to the area. black bear in North America. 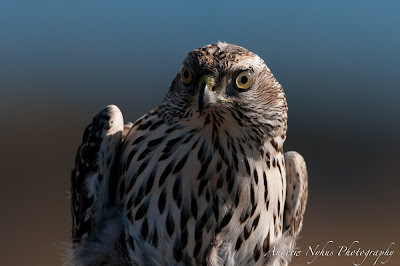 Other raptors are also attacked at nest sites, and often cede territory to, or are themselves killed by the aggressive Goshawk. 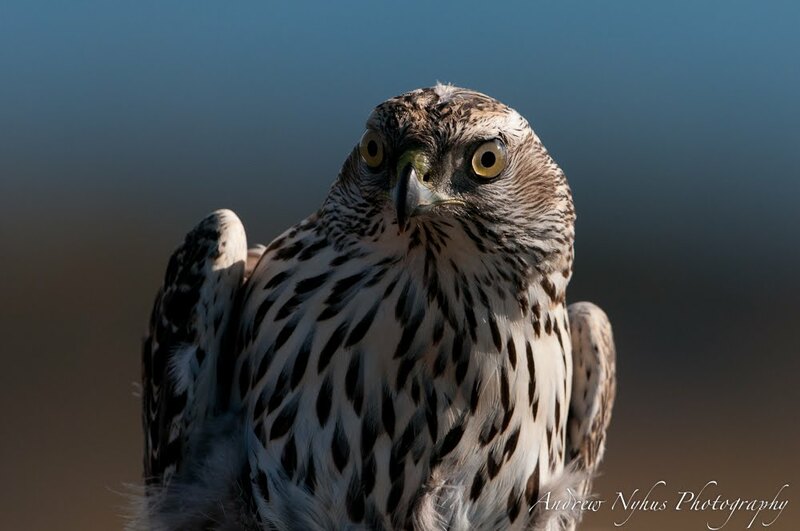 The Northern Goshawk is considered a secretive raptor, and is rarely observed even in areas where nesting sites are common. 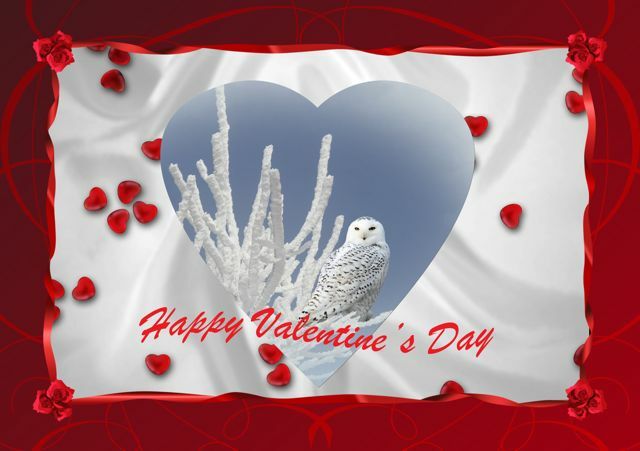 The following Goshawk pictures are courtesy of fellow birder Andy Nyhus of Winona Mn. As all the birders know, this winter, from Maine to Minnesota, Montana and Washington State, there has been a big snowy owl irruption. 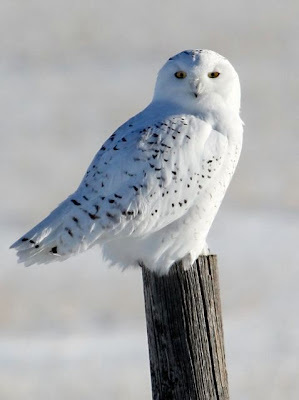 These beautiful artic birds have been coming south in unusual numbers to the delight of many..... except me. It isn't that I haven't tried to see my first one. It just hasn't happened. So take a look at just a few of the many that Montanagirl http://girlinmontana.blogspot.com/ has been able to take. She is the greatest. Although I had seen more than a few Great Horned Owls during my trout fishing days, it wasn't till a little screech owl showed up in a woodduck house that I'd placed in my woods, when I began paying close attention. 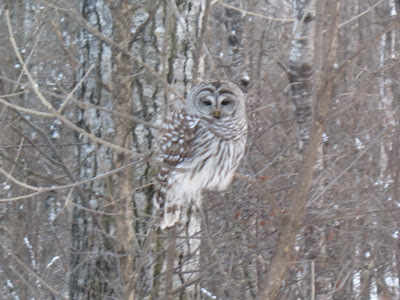 This Barred Owl, from LoieJ in Northern Minnesota, reminds me of the first one I'd ever seen. It was a more southerly version in Audobons Corkscrew Sanctuary in Florida. 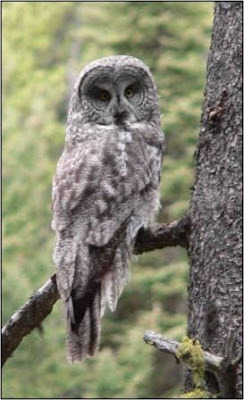 Many years ago when making our annual summer trip flyfishing in Montana, my youngest son and I did manage to see a great grey owl high in a Ponderosa pine above us. 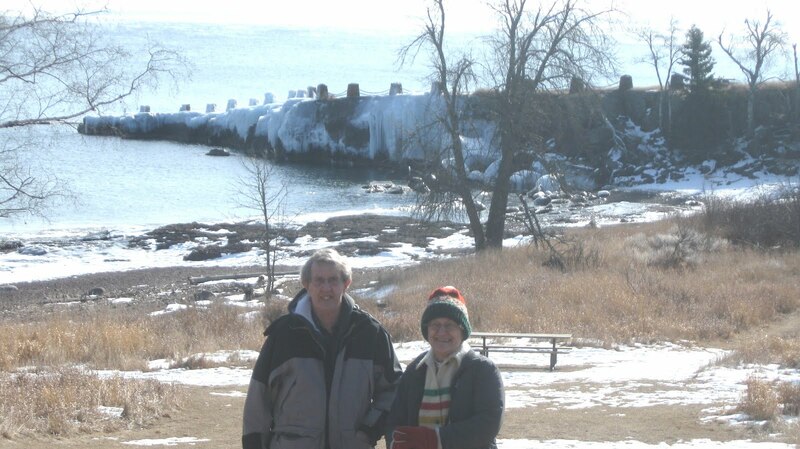 It wasn’t a big lake as some of Minnesota’s Ten Thousand Plus lakes go..... but it was our lake. Me and my buddies. It was about a mile, as a young boy bicycles, from his home on St. Paul’s East Side. A.K.A. - the Dayton’s Bluff neighborhood. 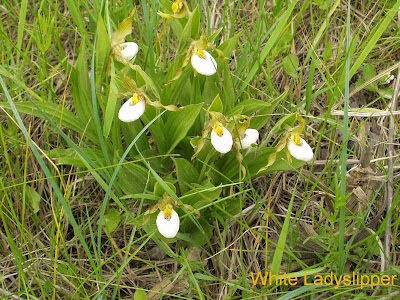 The Minnesota DNR describes it with just the facts. 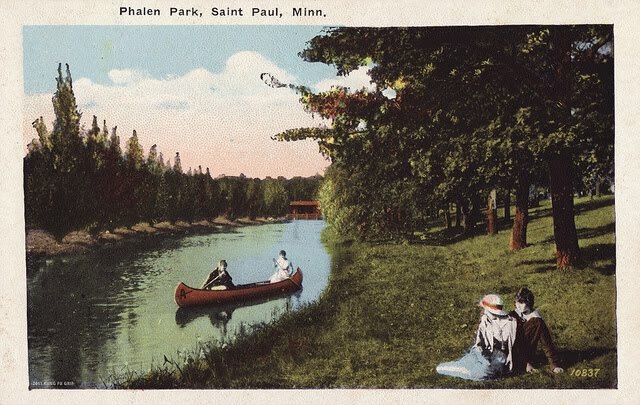 "LAKE PHALEN: ON THE EASTSIDE OF ST. PAUL, BORDERING WITH MAPLEWOOD. • Main fish: Bluegill, perch, sunfish and northern pike • Size: 198-acre • Max. depth: 91 ft. Clarity: 17 ft. 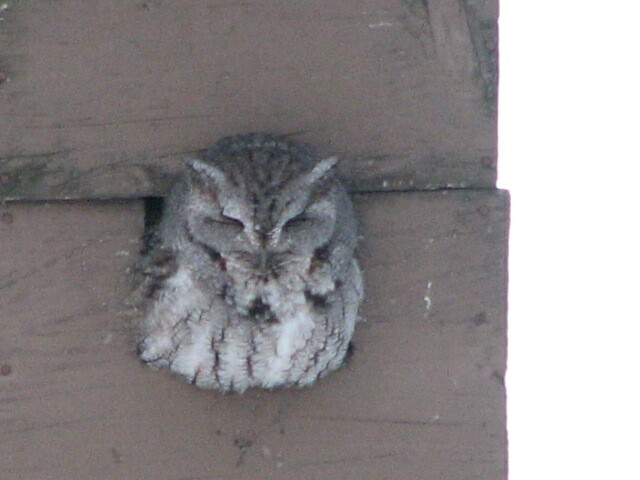 Source: Minnesota DNR." 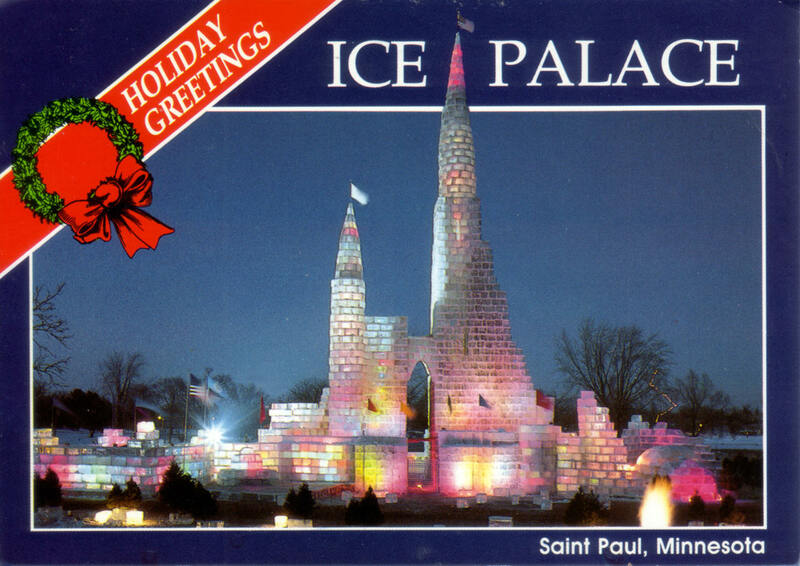 I have many fond memories of that place. Each summer we traveled the short distance with our fishing poles and swimming suits. Well, there was one summer when I wasn’t allowed to go. My mom was terrified of me catching polio. Something about staying away from crowded beaches, I guess. In spring time the little creek connecting Phalen with several other lakes was full of crappies. We just filled our buckets with them. In summer, the beach was crowded with swimmers of all ages. I loved to swim and dive though one awful memory remains of a young girl pulled from the water not breathing. Then watching the lifeguards try to revive her. 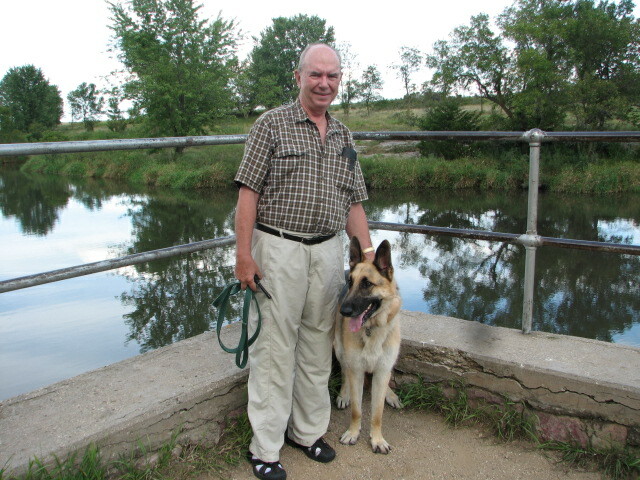 My dad was a 2nd generation German/American who grew up in the same neighborhood as I did. 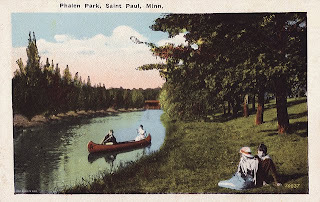 In those days canoeing was a popular activity on Lake Phalen and I’m quite certain he took a certain girl (my mom) from North St. Paul there as well. 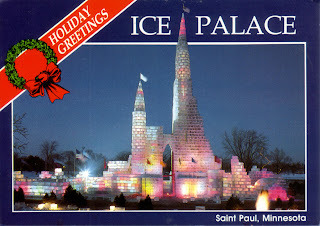 They both told me stories of the fabulous Ice Palace that had been built on the lake sometime in the thirties. The lake is still there, of course, but different and yet the same. A recent article in the St. Paul Dispatch and Pioneer Press best describes it. "The crush of urban life sometimes bumps up against nature at Lake Phalen, enveloped over time by St. Paul's blue-collar East Side. In many ways, Phalen is where old St. Paul and new St. Paul meet, where the bustling city gives way to a green, watery oasis. Swimmers flock to the sandy beach, and the playground pulses with wriggling kids and babies in bucket swings. Families picnic at rustic wooden tables in the shadow of a giant pavilion. But wander down the walking path encircling the lake and surprisingly tranquil stretches await beneath a canopy of gnarled oaks. 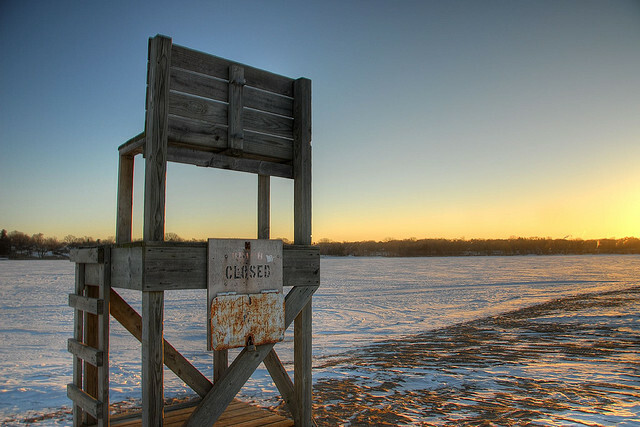 Lake Phalen is popular with fishermen and boaters, but of the quiet, old-school variety. Canoes, kayaks and sailboats slice through the water, while motors are restricted to electric trolling models. Anglers cluster at the pier and dot the shore, casting for panfish and filling plastic buckets with sunnies and crappies. Next weekend, that gentle scene from St. Paul's past gives way to more recent traditions: a two-day Dragon Festival, a free and popular Pan-Asian expo of food, crafts, music, dancers, martial arts and dragon boat races."